Have you ever sent a letter to a comics creator? I have and so has Joshua. A couple of years back a well-read nine-year-old named Joshua wrote Alan Moore to say that he felt Mr. Moore's Swamp Thing and Watchmen and other comics stories proved him to be "the best author in human history." 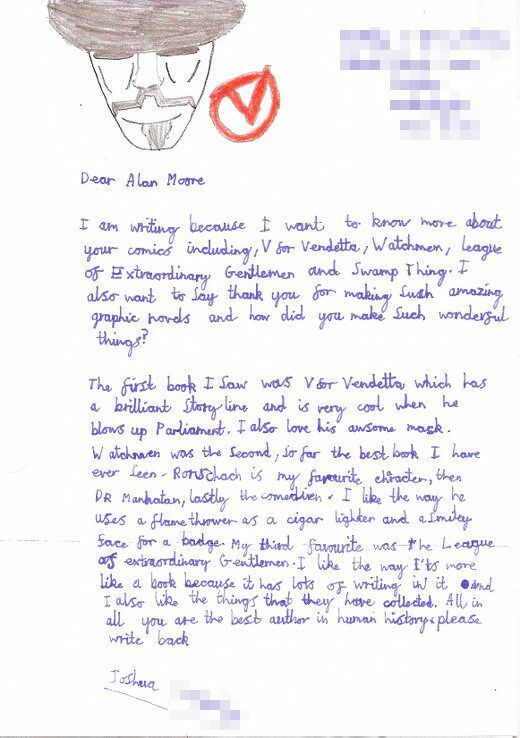 Joshua's letter and Alan Moore's wonderfully warm reply were both published online yesterday. Is it possible that those letters have been viewed one million times in the first 24 hours of their posting? Not sure about that but it is a fact that Alan Moore's daughter wrote in today with word of her dad's reaction. I think you'll enjoy reading all of these nice things, over here. And me? It's been a few decades but, back in the 1970s, I wrote to some of my favorite artists. Maybe you're ready to see again the replies I received from Walter Simonson and Curt Swan and Kurt Schaffenberger. Oh, and one publisher: William M. Gaines. 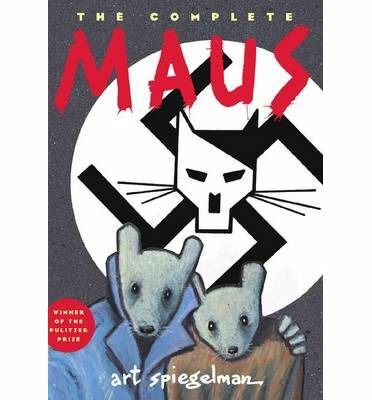 Two days ago on Jeopardy, under the category of Mouse in the House, the $2000 clue read by Alex Trebek was "In 1992 he won a Special Pulitzer for "Maus", his graphic novel about the Holocaust." The first contestant to ring in answered "Who is Art Spielman?" and was incorrect. A second contestant answered "Who is Art Spiegle?" and was incorrect. The third contestant didn't respond. I was impressed with how close those two attempts were. It's clear that comics are on the minds of more adult Americans now than was the case just a few decades ago. Hooray for comics! Jack Kirby on the Cover! 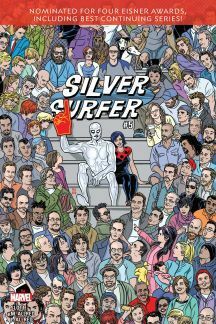 Have you seen Michael Allred's cover to the newly-released Silver Surfer #5? Take a look to the left of the cover's logo and there is Mr. Jack Kirby! 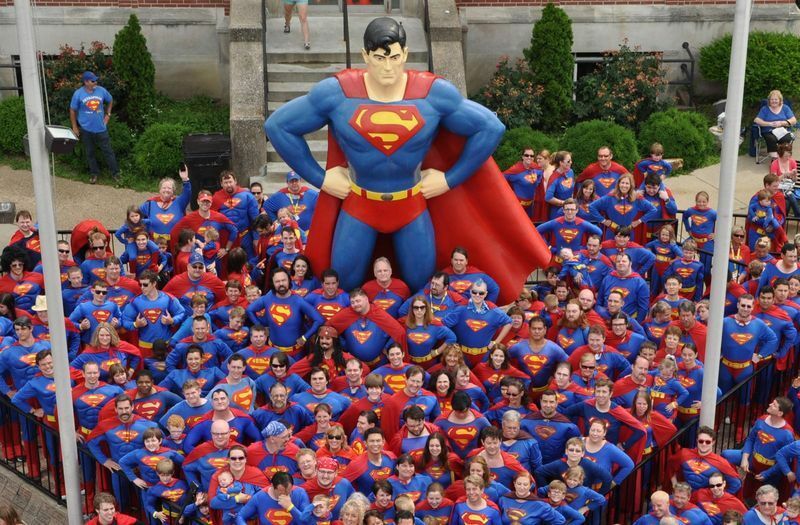 Metropolis, Illinois hosts a weekend-long Superman Festival every June and I wrote in the past about how I applied to be the official Superman of the Festival a decade or so back. I don't write about the Fest every year because there's usually nothing to report. But. When I saw the above photo I knew I had to pass it on. What a great picture! Wait, there's more. Over here you can watch a video that was taken inside The Super Museum of Metropolis. One more tasty tidbit? You'll enjoy seeing this little blog post one more time. There is a gent who has investigated the possibility of photographing sound, akin to the manner in which Matt Murdoch senses things that he cannot see. 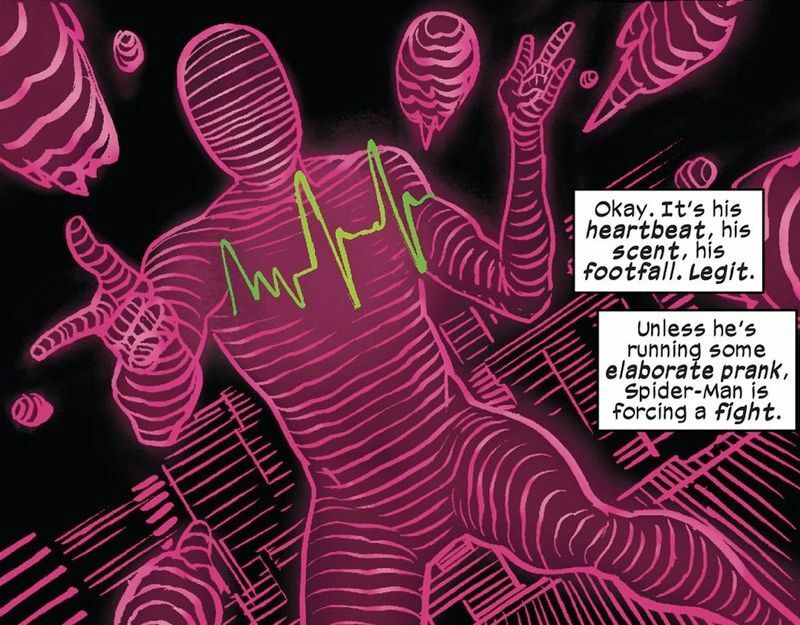 The author-investigator does even reference Daredevil in his write-up, which I encourage you to take a look at over here. Yesterday while I was driving through the Chicago Loop on the Dan Ryan Expressway, SUPGRL in a red Kia switched lanes into my lane. Right in front of me without giving any notice! In the vernacular, she Cut Me Off. Don't worry, there was no incident and I have now recovered from that one's lapse in politeness.